Anne Fitzpatrick, PhD, MSCR, APRN, is an Atlanta Clinical & Translational Science Institute (ACTSI) Master of Science in Clinical Research (MSCR) graduate, as well as site director for the ACTSI Pediatrics Clinical Research Unit at Egleston, associate professor of pediatrics, and director of the Asthma Clinical Research Program at Emory University School of Medicine. She is currently funded by a variety of NIH grants and serves as the Principal Investigator in the National Heart, Lung, and Blood Institute’s AsthmaNet Clinical Trials Network and Severe Asthma Research Program. Recently, she was published in the New England Journal of Medicine (NEJM) for her part in AsthmaNet exploring Acetaminophen versus Ibuprofen in Young Children with Mild Persistent Asthma. ACTSI supported this research through the Pediatric Clinical Research Unit at Egleston for the conduct of the Acetaminophen Versus Ibuprofen in Children with Asthma (AVICA) trial. 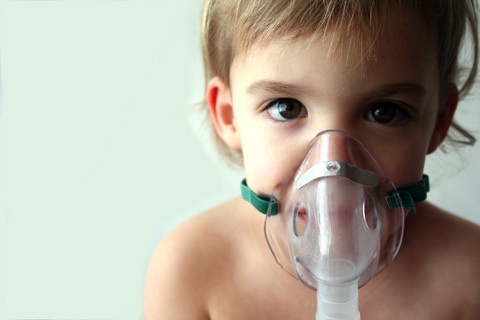 The ACTSI-supported clinical trial assessed the impact of acetaminophen use on children’s asthma, by studying 300 children, aged 1 to 5 years old, who had mild, persistent asthma. During the study, caregivers used either acetaminophen or ibuprofen whenever a child needed pain relief or had a fever. None of the researchers, children, or caregivers knew which study drug each child was receiving. The researchers found that acetaminophen was tolerated without the worsening of asthma, when compared with ibuprofen use. While acetaminophen (e.g., Tylenol) and ibuprofen (e.g., Advil, Motrin) are often used to treat pain or fevers in children, some prior reports suggested that use of acetaminophen in children with asthma was associated with the worsening of asthma. Consequently, some healthcare providers avoided the use of acetaminophen in children with the disease. This is the first time the association was rigorously examined. ACTSI’s Pediatric Clinical Research Unit at Egleston offers inpatient and outpatient space and provides valuable research implementation services for clinical researchers, including laboratory and nursing services. The Emory Master of Science in Clinical Research (MSCR) degree program, from the Laney Graduate School at Emory University, provides didactic and mentored clinical and translational research training. The degree is designed for participants at Emory University and Georgia Institute of Technology (Georgia Tech) who hold a doctorate or equivalent degree (such as physicians and PhD-level scientists) or predoctoral trainees enrolled in a dual degree program (MD/MSCR and PhD/MSCR tracks) and have demonstrated a commitment to a career in clinical investigation. ACTSI is a city-wide partnership between Emory, Morehouse School of Medicine, and Georgia Tech and is one of a national consortium striving to improve the way biomedical research is conducted across the country. The consortium, funded through the National Center for Advancing Translational Sciences as one of the National Institutes of Health’s Clinical and Translational Science Awards, shares a common vision to translate laboratory discoveries into treatments for patients, engage communities in clinical research efforts, and train the next generation of clinical investigators.